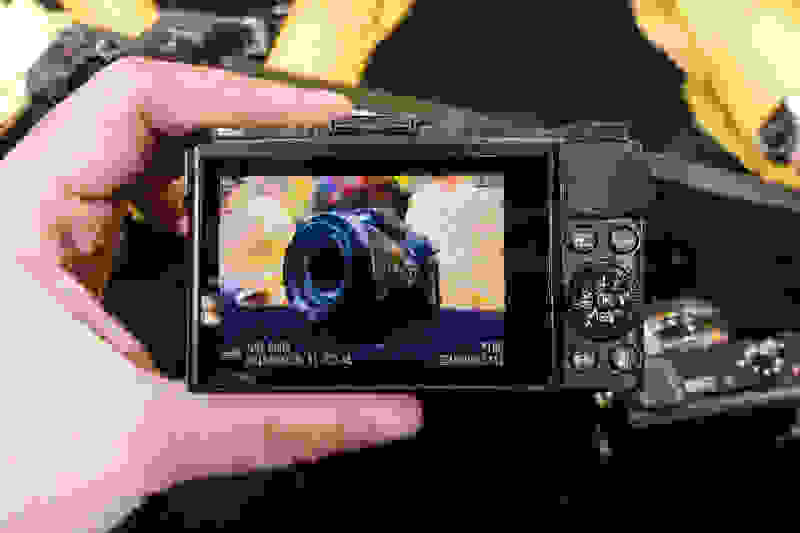 Nikon’s Coolpix brand has endured for nearly two decades, appearing on every point-and-shoot camera the company released—even the large-sensor Coolpix A. But earlier this month, Nikon put Coolpix aside to launch the DL brand, announcing three new high-performance compacts with 1-inch sensors and light-hungry lenses. That Nikon would release these sorts of cameras isn’t surprising—they’re merely following in the footsteps of Sony and Canon—but it’s intriguing that they’re dropping the Coolpix branding. Clearly, the company sees that point-and-shoots have finally come of age, and they want to distance these new models from the less prestigious Coolpix name. The new cameras are dubbed DL24-85, DL18-50, and DL24-500, after their lens specs. They’ll set you back $650, $850, and $1,000, respectively. That might sound like a lot for point-and-shoots, but it’s all about context. The DL24-85, for instance, offers similar specs to the $1,000 Sony RX100 Mk. IV, but comes in at a steep discount. How does the reality stack up to the specs? We went hands-on with all three cameras at CP+ 2016 in Yokohama to find out. Though the DL cameras differ from each other in ways big and small, they’re all built around a common core. At the heart of each camera is a 20.8-megapixel 1-inch CMOS sensor, paired with an Expeed 6A processor. That combo unlocks ISO sensitivities of 160–6,400 (expandable to ISO 12,800), 20fps burst shooting (or 60fps, provided you lock exposure and focus), and 4K video shooting at 30fps (or full HD 1080p at 60fps). All three cameras also share the same hybrid autofocus system with 105 phase-detection points and 171 contrast-detection areas. Nikon says the cameras can lock focus in as little as 0.09 seconds. Around back, all three share a 3.0-inch OLED display, though the screens are articulated in different ways. The DL24-85 and DL18-50 feature screens that flip up for selfies, while the larger DL24-500 has a fully articulating panel that swings out to the left and can rotate up or down. 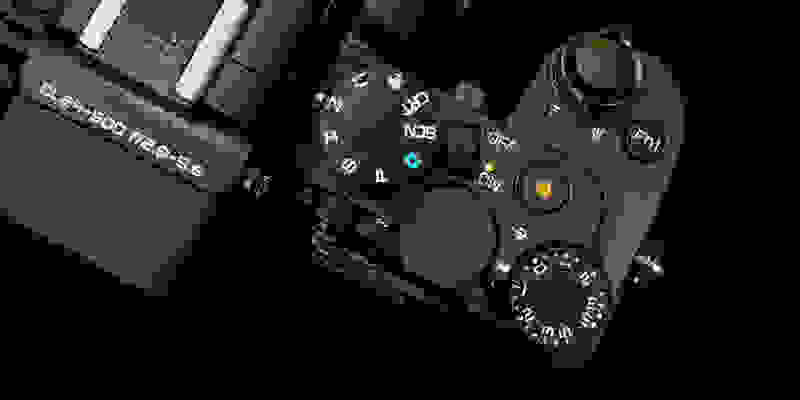 Another commonality is Nikon’s “Dual Detect” optical vibration reduction, which the company claims can compensate for up to 4 stops of shutter speed reduction. That’s especially important for the DL24-500, with its massive telephoto reach. All three lenses share an emphasis on wide apertures, but that’s where the similarities end. 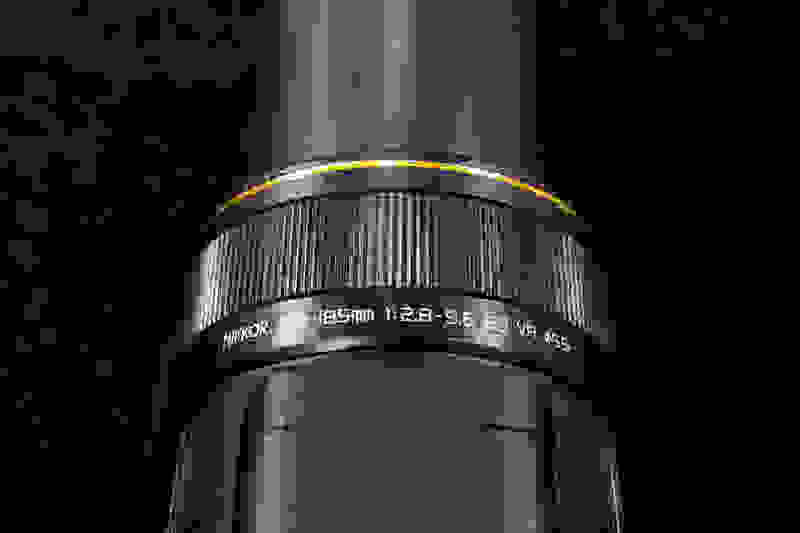 The DL18-50 sports, yes, an 18-50mm equivalent lens with a f/1.8-2.8 aperture range, while the DL24-85 offers the same aperture range but a bit more reach on the long end. The DL24-500 is a completely different beast, packing a superzoom-style zoom range that goes from wide-angle 24mm for landscapes and architecture all the way out to 500mm for wildlife and distant landscapes. The differences in lens design necessitate differences in body design, too. The DL24-85 and DL18-50 look a lot alike, but they each feature unique tweaks to work around the lens. For instance, the DL18-50’s lens is slightly larger in circumference than the DL24-85’s, and that means its hot shoe had to be shifted over to the lefthand corner of the top plate. Shifting the hot shoe, in turn, means that the DL18-50 doesn’t have a pop-up flash, while the DL24-85 does. The DL24-500 is completely unlike the other two cameras, more closely resembling Nikon’s own Coolpix P900 than a Sony RX100 IV or Canon G7 X. It has a big, DSLR-style grip, a honking big lens barrel, and a large zoom toggle on the left side. There’s also a built-in EVF, which the two smaller DLs lack. As previously mentioned, the DL24-500’s screen swings out and then swivels, like the articulating displays on most DSLRs, while the other DLs simply tilt up and down. In our brief hands-on time with them, the DLs all produced crisp-looking shots straight from wide-open aperture—though the DL24-500 unsurprisingly lagged a little behind the more conservative DL24-85 and DL18-50 in terms of pure sharpness. The bokeh (or out-of-focus areas) when shooting at those wide apertures was also quite nice, with smooth falloff and appealing softness. At its widest aperture, the DL24-85 produces creamy smooth bokeh, even at full wide angle. Autofocus was indeed quite fast, even in the tricky show floor lighting, and there was no noticeable shutter lag. Burst shooting felt as quick as advertised, as well. In general, all three DLs were speed demons, much like the Nikon 1-series cameras that use the same sensor. While the smaller DLs don’t have a viewfinder, there’s an accessory EVF (the DF-E1) you can buy to tack one onto the hot shoe. It offers 2.36 million pixels and can tilt up 90 degrees for waist-level shooting. But probably the most likable thing about the DLs is their pricing. Starting at $650, they’re a very affordable alternative to Sony’s more premium enthusiast offerings, and even the $1,000 DL24-500 is more affordable than Sony’s RX10 II, which doesn’t provide nearly as much telephoto reach. While some shooters might prefer a lightweight design, the DLs all feel a little cheaply made. Other high-end compacts like the RX100 and Fujifilm X70 have a reassuring density despite their small size; in contrast, the DLs feel plasticky and hollow. The buttons and toggles reinforce that impression—it’s almost as if they were ported over directly from a $200 Coolpix. The controls themselves are a little wonky, too. Like most point-and-shoots, the DLs have a zoom toggle. Unlike most point-and-shoots, the smaller DLs also have a control ring around the lens with pre-set focal lengths. It’s an odd use of real estate, doubling up on one control when a multi-function ring would have been a lot more useful. 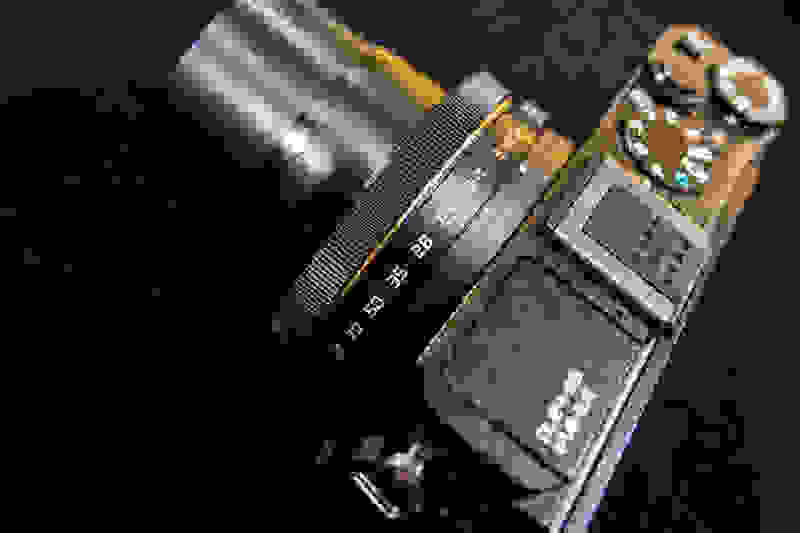 The focus ring on each camera isn’t user-configurable, either, unlike the one on the RX100. The DL24-85 and DL18-50 both offer odd, graduated zoom rings with settings for specific focal lengths. While they have more of a grip around front than the RX100, neither the DL18-50 nor the DL24-85 are very comfortable to hold. With the big lens humps on the front, they’re not exactly jeans pocket–friendly, so it’s a little confusing why Nikon didn’t give shooters a bit more to hang onto. And then we come back to the price. Yes, these DLs are cheaper than Sony’s RX offerings, but they’re also less robust, both in terms of build and features. That’s okay—it’s a tradeoff. But it gets stickier when you compare them to Canon’s G7 X, G5 X, and G3 X, which offer a similar price-to-performance ratio with better build quality and smarter controls. The DL series is a welcome addition to Nikon’s lineup, giving shooters who are already in the family a viable alternative to high-end point-and-shoots from Sony and Canon. But we’re not convinced that this first wave of DL cameras has the stuff to steal the spotlight from their established rivals. There’s little doubt that the sensor/lens combos Nikon has come up with can pump out great images, but the edges are rough enough that—at first blush, at least—we’re more inclined to pick up a G7 X II than a DL24-85. Everything from build quality to ergonomics could use a little refinement. Still, it’s a promising (if late) start for Nikon in the high-end compact market, and further evidence that the age of crappy point-and-shoots is fading away in our collective rearview mirror. More choice is never a bad thing, and with its three newest cameras, Nikon has given shooters looking for a compact all-in-one solution three more compelling options.